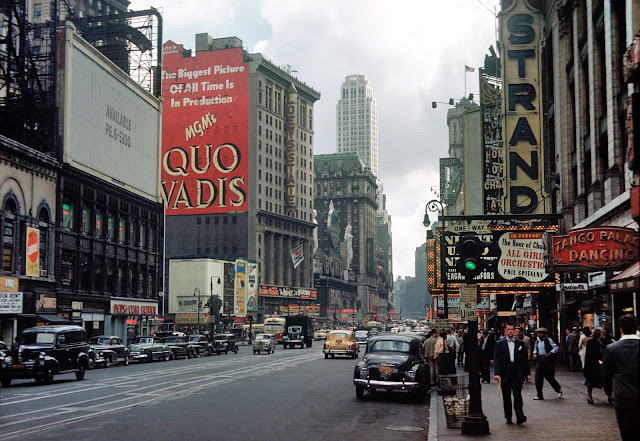 A huge billboard advertising QUO VADIS in production in 1949, 2 years before its release. Now that's early. Great photo! I love the late 1940s cars.